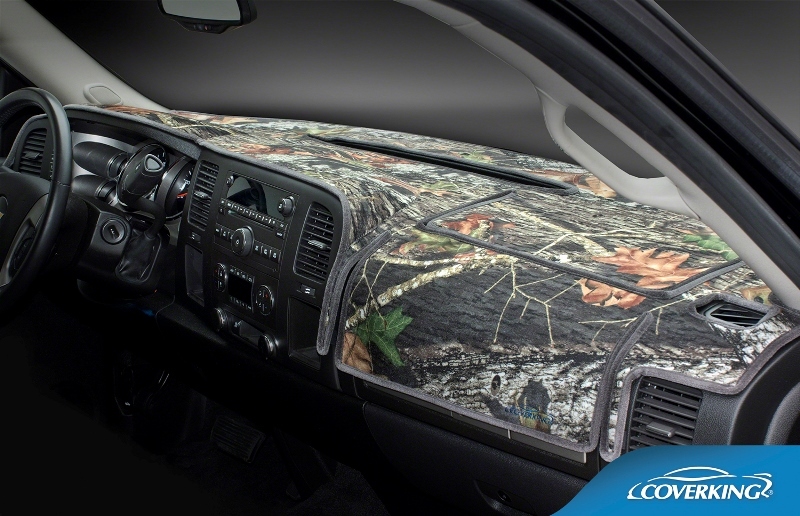 Camo Dash Covers are a popular accessory in the sunbelt states to combat the damaging effects of the sun, reduce dangerous sun glare and enhance a vehicle's interior. 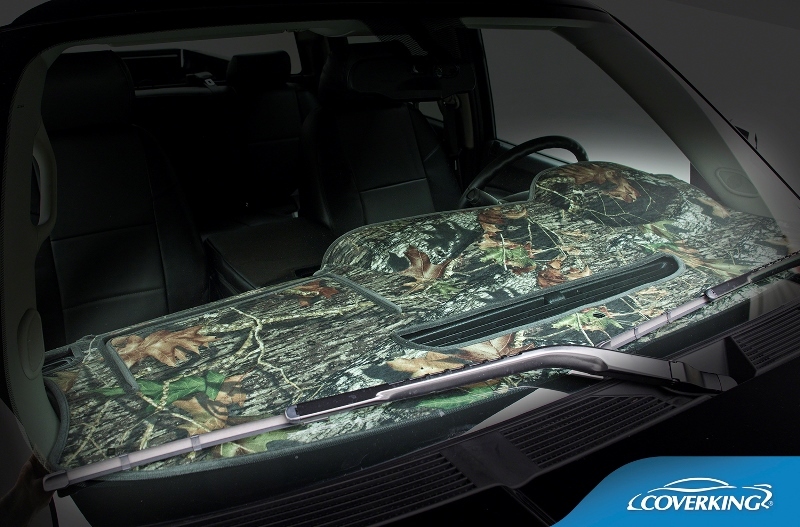 A proper fitting Custom Camo Dash Cover will soften the plastic look of a vehicle's interior and provide protection to the driver and vehicle dashboard. Coverking Camo DashBoard are constructed using a "zigzag" stitch, the optimal stitch style. Coverking's zigzag stitch takes more time and is more expensive, but the results are worth the added expense - the stitch acts as a hinge, allowing the cover to contour the surface of the dashboard. Coverking Zigzag stitching also allows small pieces to be sewn together, because there is no margin. Coverking Custom Camo Dash Covers are selected by many automotive accessory retailers for their perfect fit, materials, and construction.